It's almost the end of the semester for me which means I'll be able to go home soon and enjoy the spring weather (which is non-existent since there is currently an ice storm as I'm writing this). 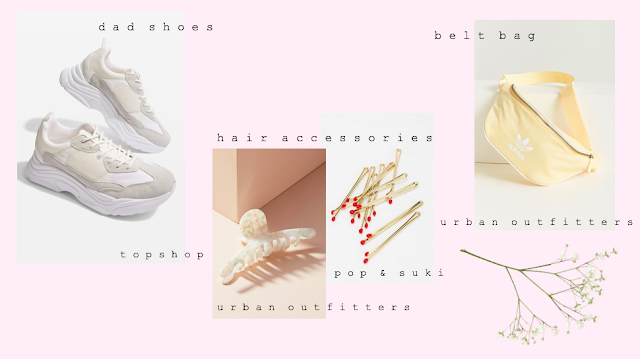 I thought I'd put together my current wish list which is full of some very spring inspired items! March is already over which is kind of crazy since I'll be finishing my first year of university in the next couple weeks and moving out of my dorm room! I put together a list of a couple of the things I enjoyed from last month which mostly consists of skincare and music. The lovely people from Wishtrend sent me the new Klairs Supple Preparation Unscented Toner and I have been obsessed with! It's super hydrating which is great since my skin has still been pretty dry lately from the weather. The texture is really cool since it seems really thick in the bottle but it comes out watery and absorbs into the skin so nicely (no sticky feeling!) I also really like how it's unscented since it can be overwhelming when a lot of the products you're using in your routine all have a different scent.